Taipei, Taiwan (10 Aug 2017) – G.SKILL International Enterprise Co., Ltd., the world’s leading manufacturer of extreme performance memory and gaming peripherals, announces all-new DDR4 specifications and expanding the Flare X series, designed for AMD processors and platforms. 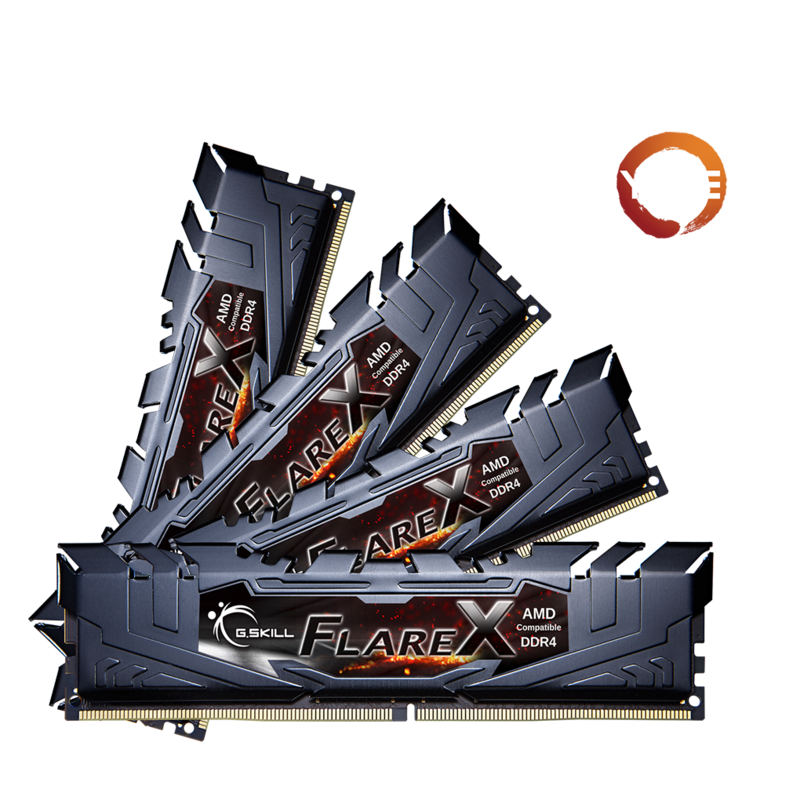 Compatible with the new Ryzen™ Threadripper™ processors and AMD X399 chipset motherboards, these new DDR4 specifications are designed to achieve high frequency at DDR4-3600MHz 32GB (8GBx4), as well as a massive total capacity at DDR4-2933MHz 128GB (16GBx8). Included in the mix of new quad-channel DDR4 memory kits are DDR4-3200MHz CL14 32GB (8GBx4) and DDR4-3466MHz CL16 32GB (8GBx4), all made with the famous Samsung B-die.